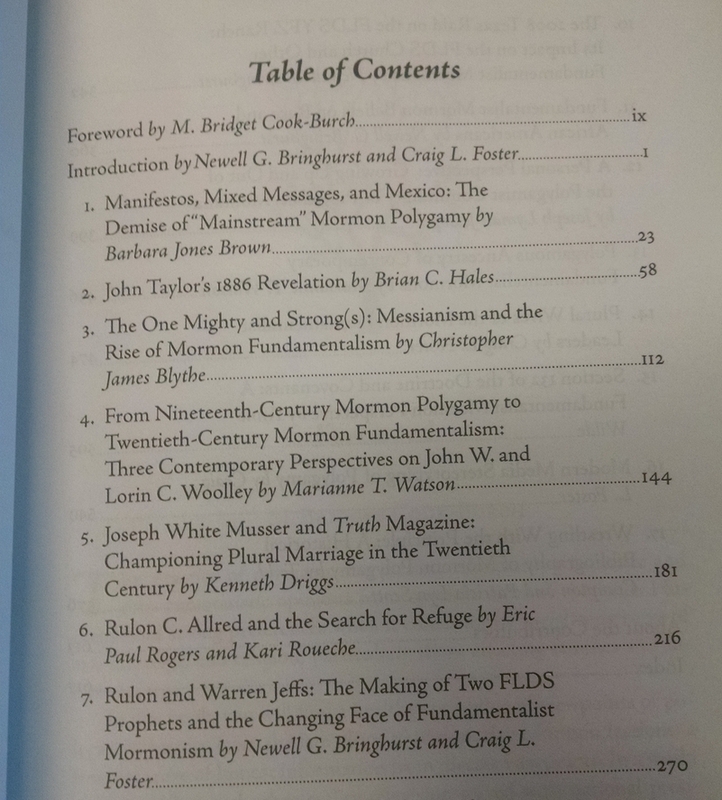 I just returned from a week-long trip to Utah where I was researching for my current writing project. 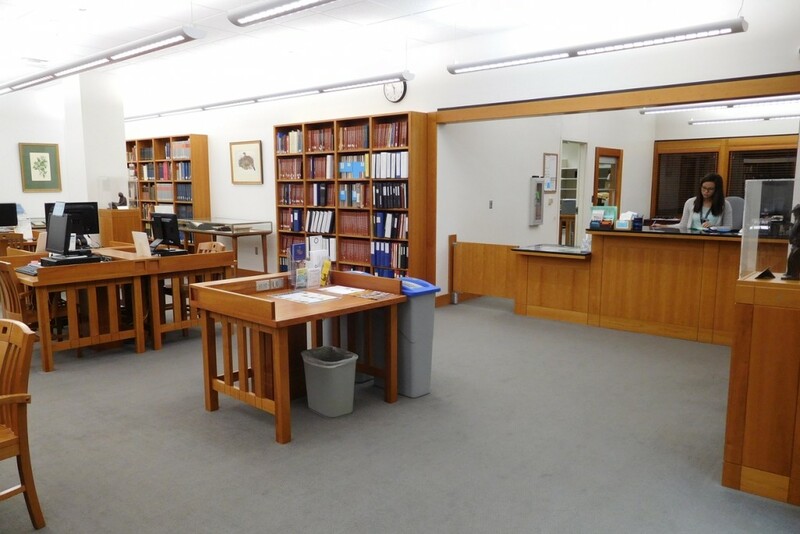 While I was there, I got to spend an entire day at the L. Tom Perry Special Collections wing of the Harold B. Lee Library on BYU’s campus. 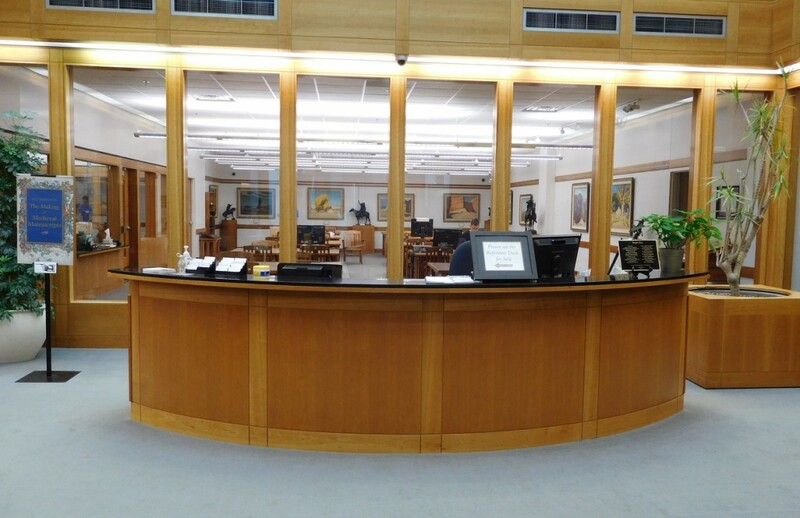 I had such a wonderful experience, I thought I would share it with you!Brigham Young University’s library underwent some extensive remodeling after I graduated, so this was really my first time to use the facility in person since the Special Collections room moved to its new and expanded location. It is fabulous! The new wing has two more stories below ground. 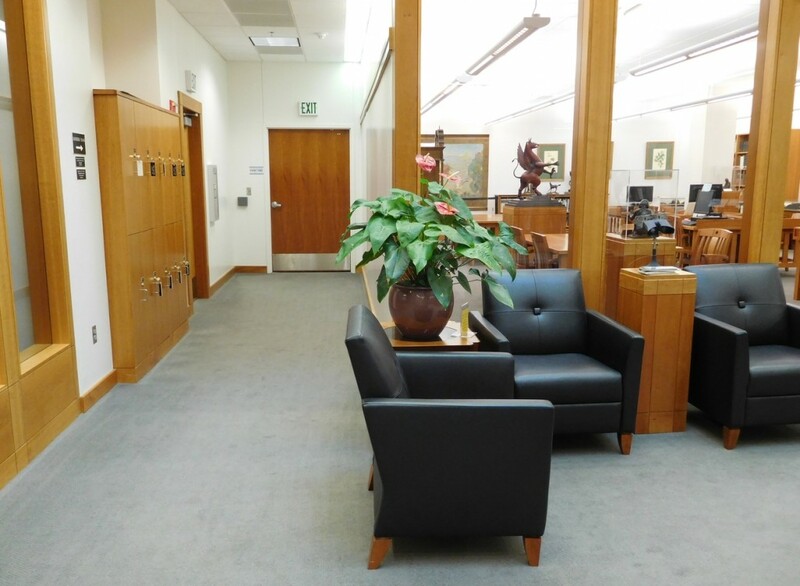 Patrons using Perry Special Collections descend two flights of stairs and are first greeted by a beautiful lobby and exhibit space. 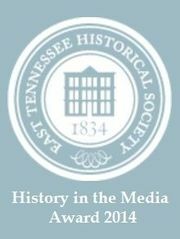 Current exhibits include Talmadge’s Jesus the Christ and Rose Marie Reid‘s fashion designs. 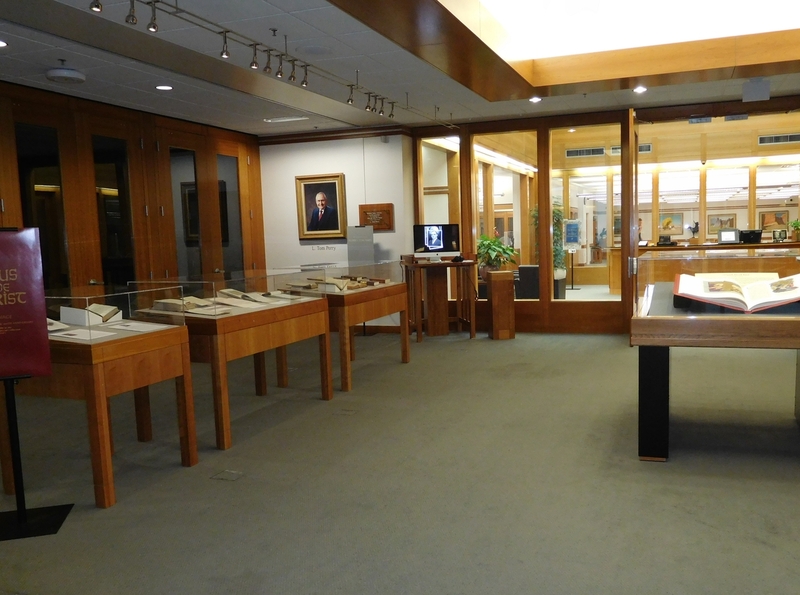 An exhibit of Talmage’s 1915 treatment of Christ’s life with meeting space behind the cases. These exhibits had visitors going in and out of them the entire day. 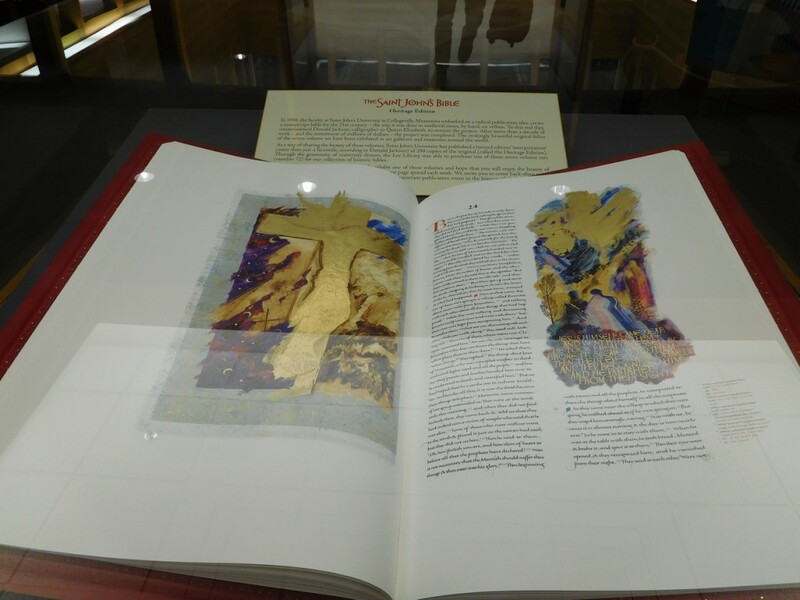 Special Collections also has its latest acquisition, a Heritage edition of the St. John’s Bible, on display. 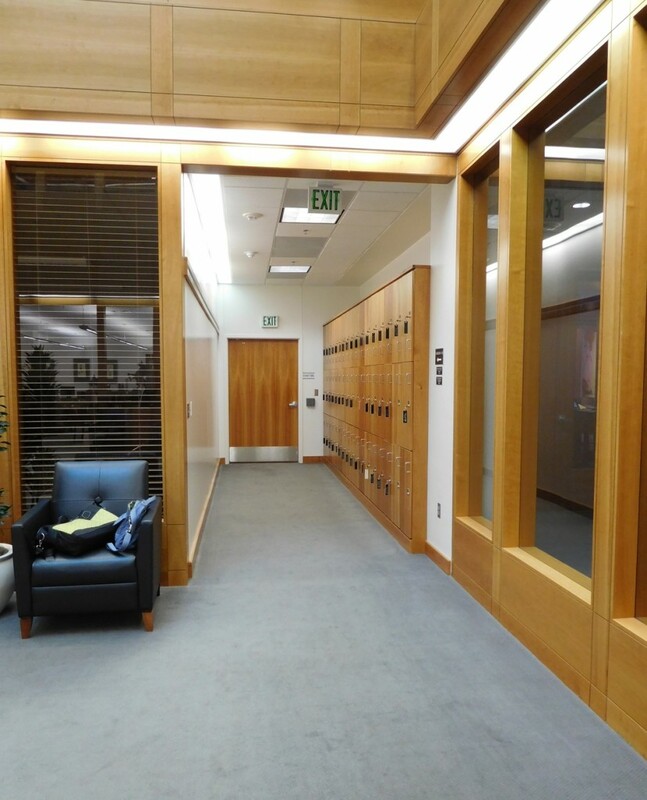 Next, patrons step into the research lobby, which is light and comfortable. There are lockers to the right for your belongings. That’s my junk in the chair, sorry. And there are more patron lockers to the left for backpacks, cell phones, etc. Behind the Reference Desk, you can see the closed reading room where I spent the day. I noticed a beautiful consultation room to the right that was filled with historical items pertaining to the Joseph Smith Sr. family. To the left, I stepped into the open reading room, admired the original Minerva Teichert (1888-1976) on the wall, draped my cardigan over a chair, and approached the student worker with my call numbers. The open reading room is surrounded by reference volumes and beautiful artwork. When she explained the reading room policies to me, I told her that I was an archivist and understood. She asked me how I made that choice. I was so impressed with her curiosity so I told her my story. When I told her I had a colleague coming to help me, she asked, “What makes a good writing partner?” That is an excellent question, I thought. So we talked about it. Not only was this undergrad well-trained and informed about the procedures, the collections catalog, and the library in general, but she was well-spoken and inquisitive and all these attributes will serve her well in life. Good for her! She ordered up four collections for me and then gave me the good news that the fifth had been digitized already! That meant that I could read that one at my leisure and could spend the next 8 hours focusing on the first four. And focus we did. . . .
. . . and then I had some BYU ice cream. It is THE BEST in the world. Besides, every researcher needs a break. 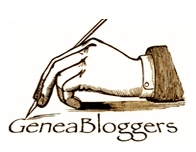 One of the journals I was reading had three lengthy passages that would have been difficult to transcribe or summarize, so I placed an order for scans. Perry Special Collections policy is that requests have to be approved by a curator, so instead of coming in on Monday to pick them up, I asked that they be e-mailed to me. Here is what that process looks like. After a restful Sunday, it was back to Salt Lake City for more research, but I am so grateful to the staff of L. Tom Perry for such a productive and positive day with them. If you get a chance to visit this library, take advantage of it. 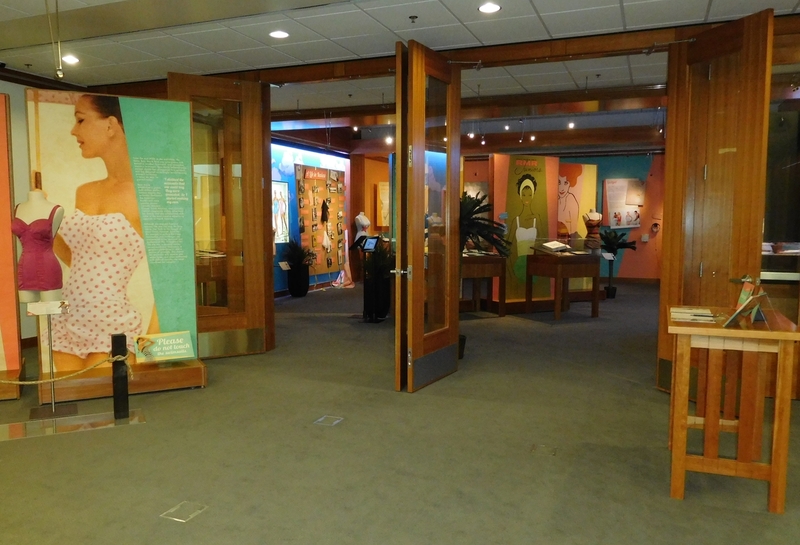 This entry was posted in Field Trip and tagged exhibit, patron request, research, special collections. Bookmark the permalink. Three more things. 1. 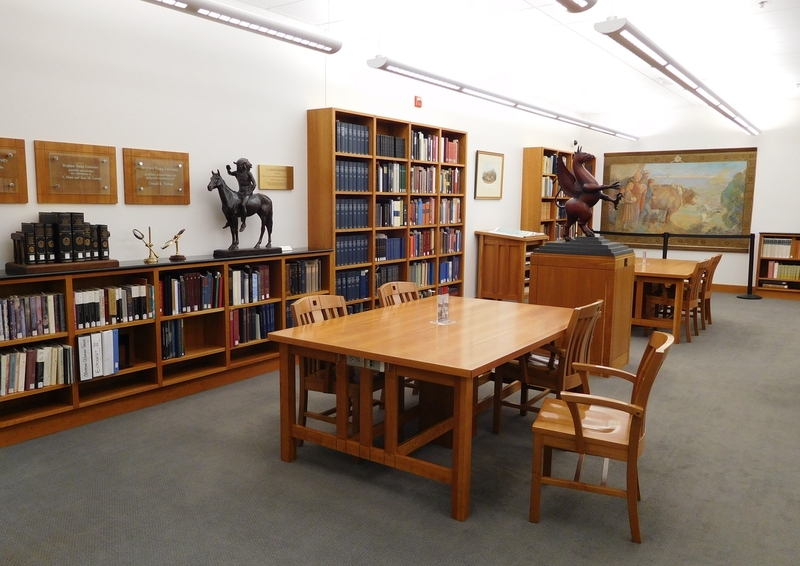 I was glad to see a Minerva Teichert in the Special Collections area. As you know she is one of my favorite artists. 2. Did you see the Jimmy Stewart Collection area? I was wondering if they moved that collection as well with the remodel. 3. 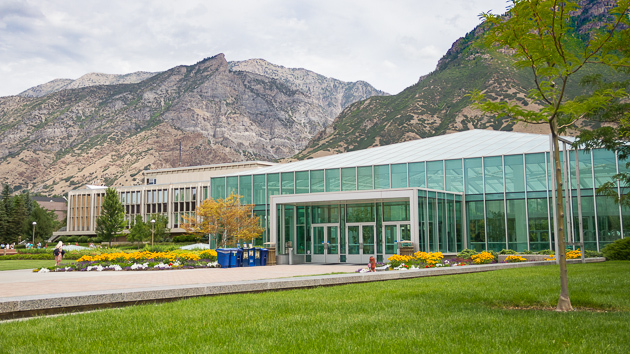 This blog post makes me proud to be a Brigham Young University Alum! You have once again placed a desire in me to go to the place you have blogged about. Lucky for me, this one is pretty close! BTW, I noticed your computer bag and purse on the chair and thought “Hey that is Kari’s purse and computer bag!” Then I read your photo tag. Made me smile! What? No comments about the BYU ice cream? I had Graham Slam and Roasted Almond Chocolate, in case anybody was curious. 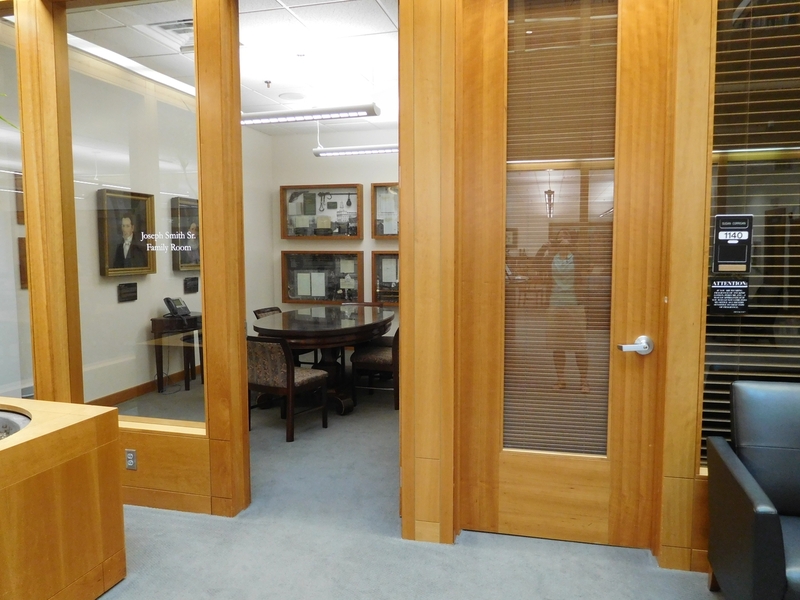 Also, you can see ME in the reflection of the door in the consultation room photo.